As of late, Anthony Bourdain’s outlook on the world has evolved. For a long time we looked toward Bourdain to provide us with a kind of debauched interpretation of the culinary world, channeling H.S. 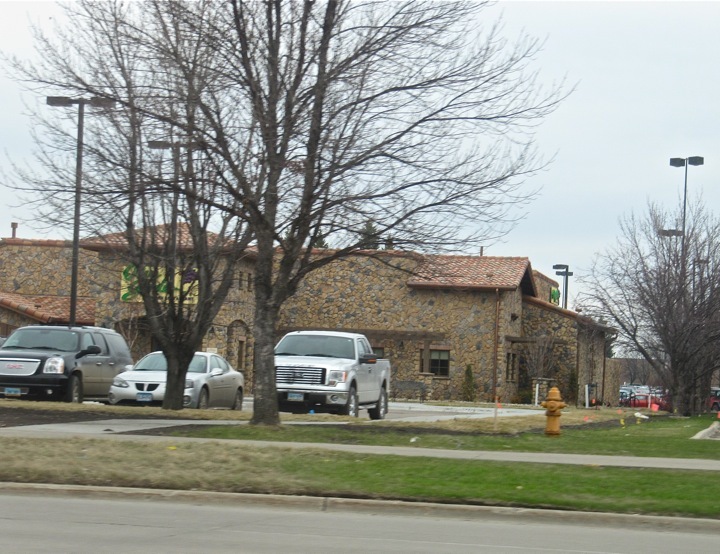 I captured this photo of the Olive Garden in Grand Forks, North Dakota on March 31, 2012. This is the south elevation, the photo taken from a moving car. Thompson and Graham Greene and Joseph Conrad among others. Tony started it, but the audience (us) came within its gravitational pull and continued to grow. Pretty soon large amounts of people depended on him to say what we wanted him to say. At least since 2008, various episodes of “No Reservations” have come across as contrived — there’s only so many times a beating cobra heart can be eaten before one runs out of original ways to describe it. Now he’s saying something different. And it irks many, since it deviates from expectations. There’s an expression that people either stick to their guns, or they fall into a rut. Perhaps Bourdain felt he was in a rut. For some time. And now he wants to shake it up, in this case with Marilyn (who has a Wikipedia entry here), and she is coming into a similar orbit that Bourdain did: thrust into a situation that she had little control over. She just wants to play bridge, take notes on what she’s eating in Grand Forks, and sip a little Crown from time to time. This entry was posted on Tuesday, April 10th, 2012 at 11:55 pm	and posted in Uncategorized. You can follow any responses to this entry through the RSS 2.0 feed.